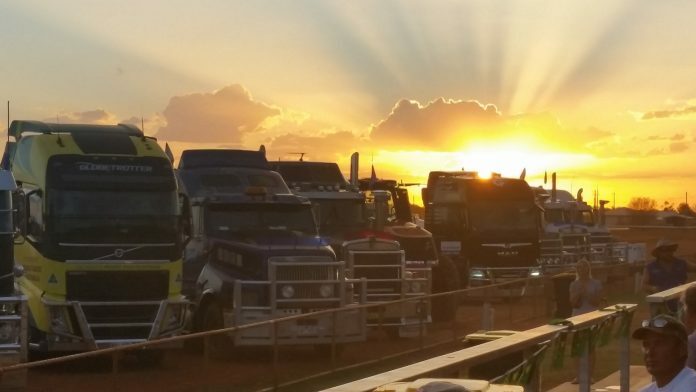 Border Cafe Editor Kylie King isn’t a farmer or a truck driver – far from it. Yet a day after riding shot gun on a three thousand kilometre round trip in the hot, dusty Queensland outback, sleeping in a swag on the bare baked red dirt, Kylie says she’d do it all again in a heartbeat. Here’s why. 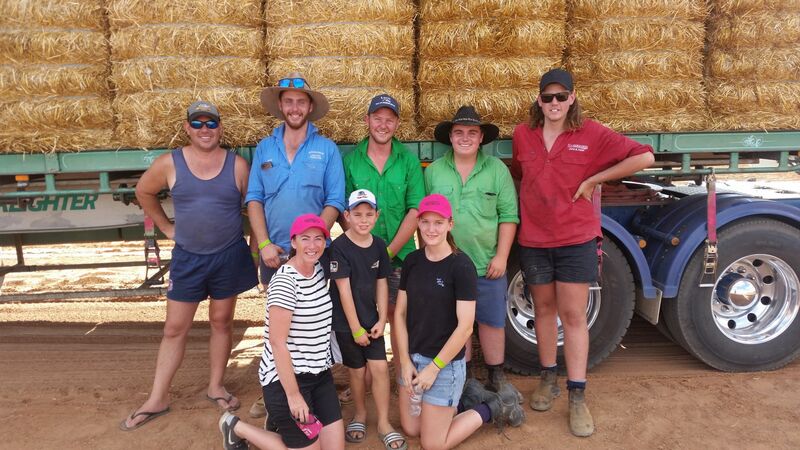 Joining the Burrumbuttock Hay Runners seemed like a fantastic way to see some remote parts of the country while seeing first-hand how tough some Aussie farmers are doing it in the Queensland outback. 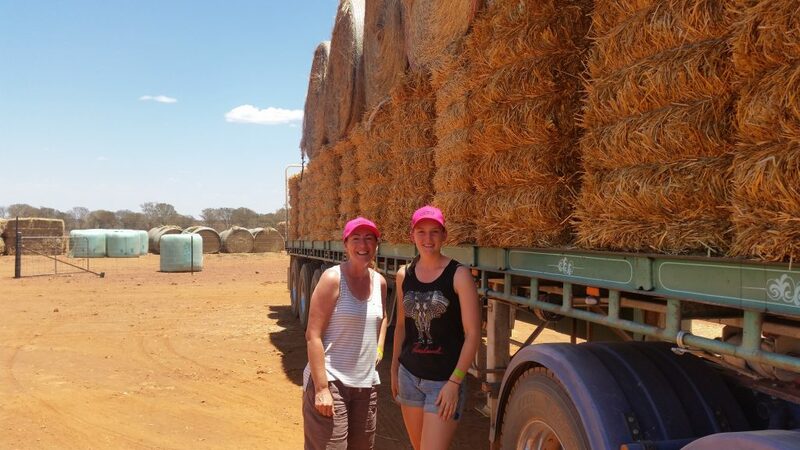 When family friend Courtney Potocnik from Holbrook Earthmoving decided to go on her first hay run I ‘bagsed’ riding shot-gun for what I suspected would be an amazing adventure. 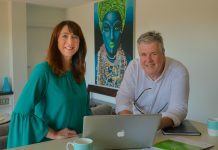 As a journalist I wanted to play my part in spreading the good work of the hay runners and its founder Brendan ‘Bumpa’ Farrell, and the plight of farmers. 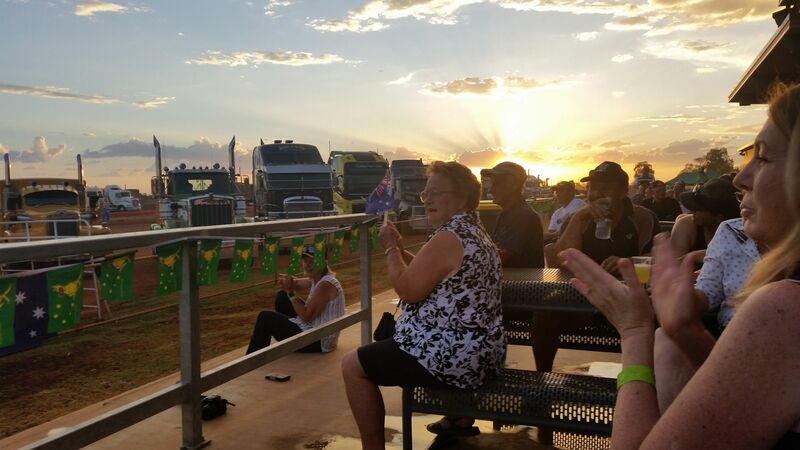 Before we even left from Darlington Point near Griffith I had already met some wonderful characters and was given a real taste of what was to come. 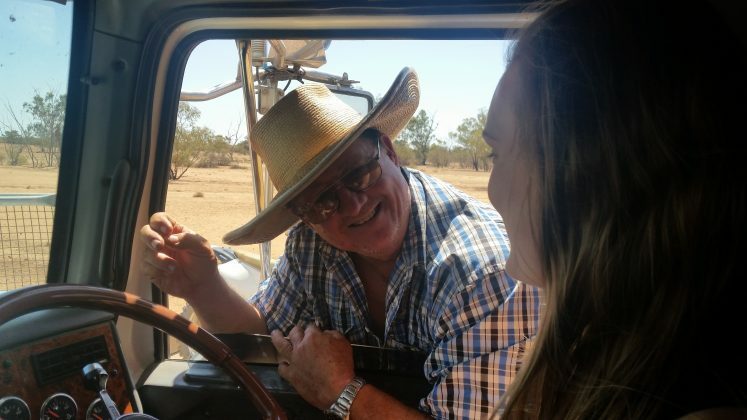 One of the hay runners I chatted to was Peter Warren and his 15 year old daughter Piper, who shared why they travelled all the way from their farm in Cunnamulla in Queensland to be part of the journey. 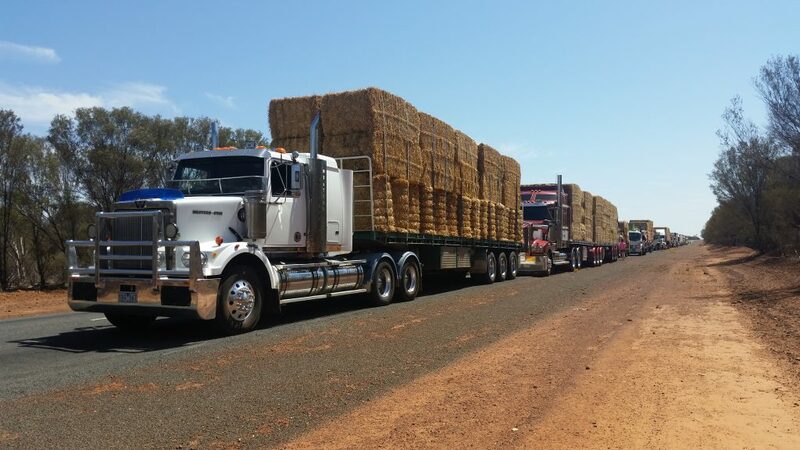 “We were given some hay on the first hay run right at the beginning (2014),” Peter said. 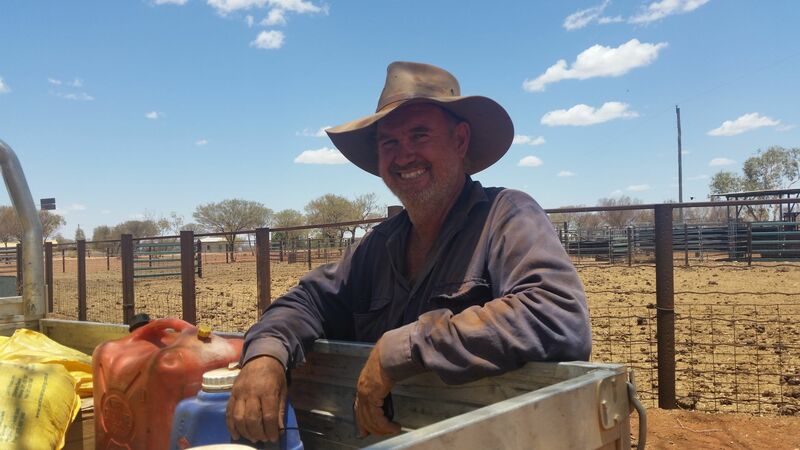 “It was a good feeling to be given hay then, and I’ve done lots of runs now because we know how they (farmers) feel, but a few years down the track and things have got a lot worse. 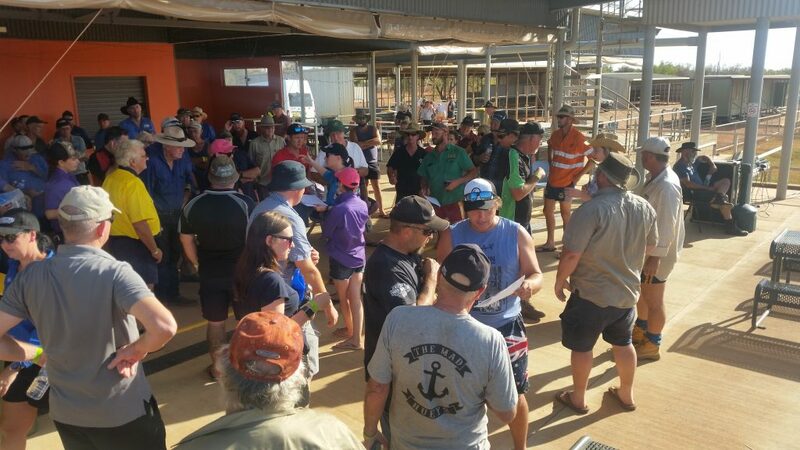 While it was bound to be a journey of adventure and mateship as part of a 180 strong trucking convoy, I was also told to pack the tissues. Kylie and Courtney Potocnik with their load of hay. “It’s good, but sad” said Mark Hutchings from Albury. We took off from Darlington Point in convoy. This in itself was something I’d never experienced before, seeing the logistics of how this massive convoy was organised, eves dropping on the communications over the UHF and seeing children and locals standing in the heat throughout the journey, waving and clapping as we went through towns. 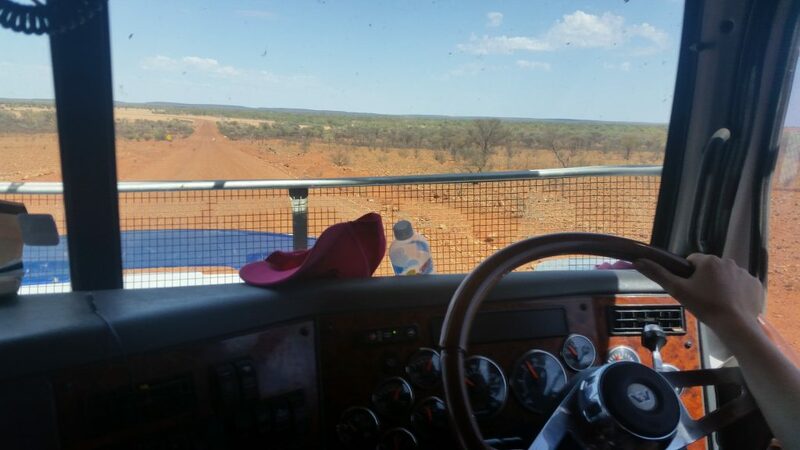 There were also more than one or two ‘double takes’ when they saw 21 year old Courtney behind the wheel of her Western Star, complete with her pink hay runners cap. It didn’t take long for the scenery to look parched and barren. As one of the hay runners bluntly put it over the UHF, ‘you’d only have to fart out here to start a wind storm’. 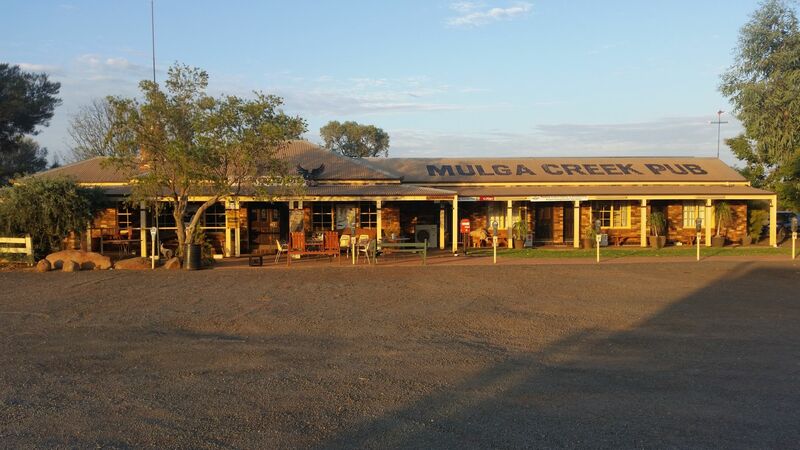 After ten hours of travelling, we had an overnight stop at Cunnamulla. It was a chance to bond over a BBQ and few drinks. I met a family from Ballarat, a husband and wife and two adult brothers doing the run. The 46 degree heat must have been a shock to the system! 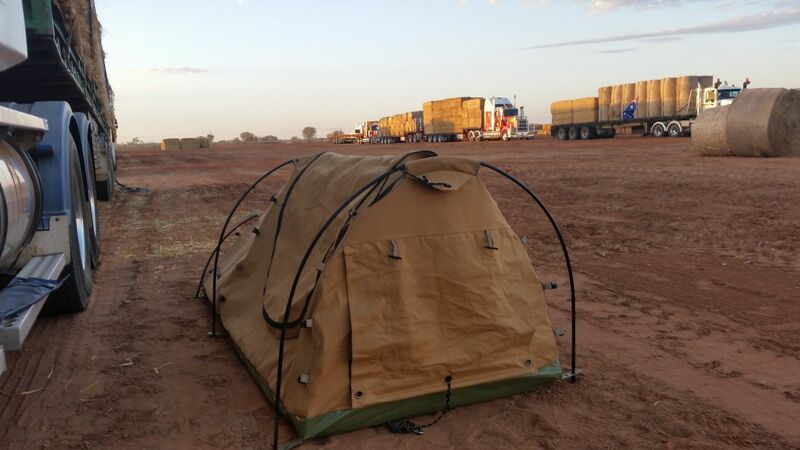 Arriving in Quilpie in South West Queensland the next day was really special. Locals lined the main street, waving Aussie flags. 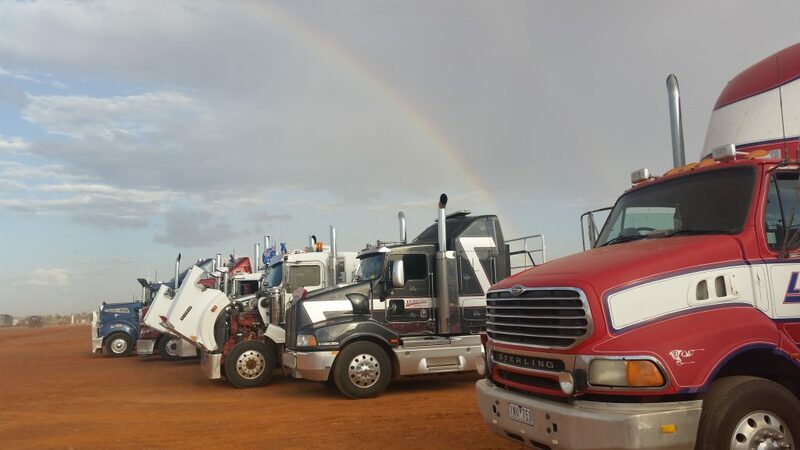 It must have been quite a sight as 180 trucks rolled into town. Things then got hectic on arrival at the racecourse. 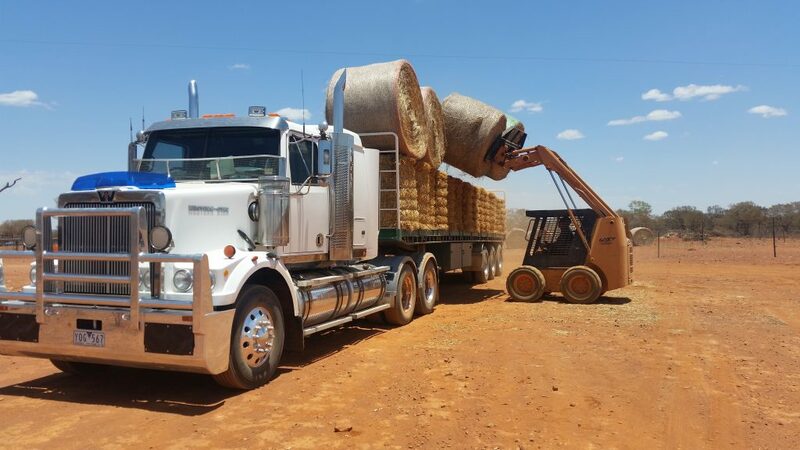 There was no rest for the hay runners, as each truck was parked, tie downs removed and bales of hay split and re-arranged to ensure an even spread of different varieties of straw and hay for each farmer. 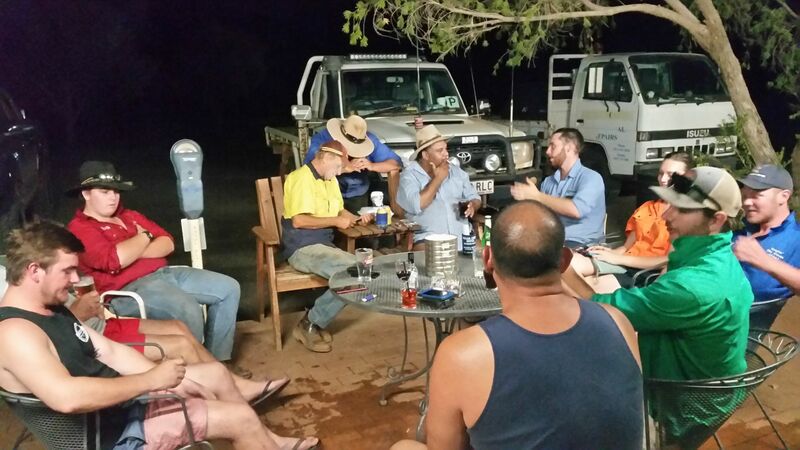 A night with the locals was spent at the bowling club. I caught up with a local primary school teacher who shared the impact the drought is having on the children. The income of one of her teaching colleagues is barely helping keep their family farm afloat. She was desperately hoping to be one of the lucky ones to receive hay. 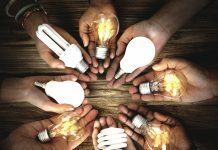 I discovered that there are more farms wanting hay than there are hay trucks to deliver them, so there’s a ballot to decide who would be the lucky ones. We’d find out in the morning. Drivers are allocated their hay drops. 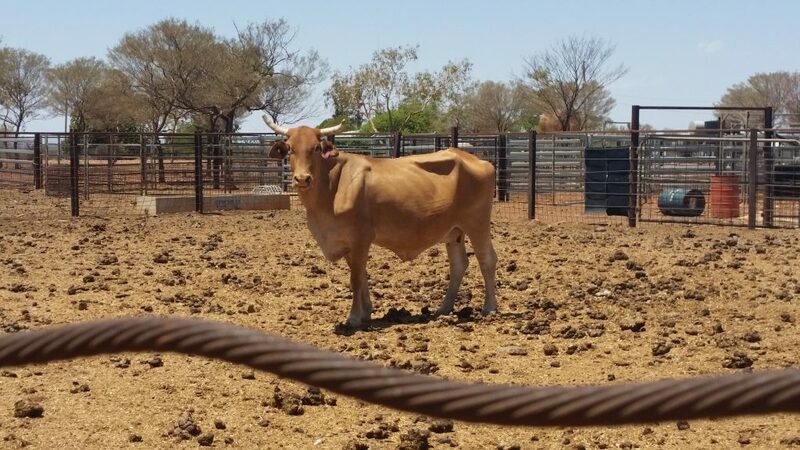 We travelled down what looked like main connecting roads, but they were rough, basic, dusty rutted dirt tracks – over cattle grids, and through narrow gates and bridges. Courtney was up for the challenge and handled the conditions like a trooper. I wasn’t so sure we were headed in the right direction! Luckily we found the sign to Goombie Station and the unloading would begin. I chatted to the farm manager’s wife Fiona Schmidt who expressed her gratitude. “I just feel so grateful that people we’ve never met before have come out just to give us things,” Fiona said. It’s clear to see that the drought is taking its toll, and the few basic ‘luxuries’ of living remotely are few and far between. “We’ve run out of water at the house for the garden, so we’re carting water for the garden and that’s affected me personally because the garden is my thing,” Fiona said. Although there’s not enough hay to feed every beast on the 300 thousand acre property, Fiona says it will definitely help, as well as lift spirits. “When we saw on the TV last night all the trucks pulling into Quilpie, I had a tear in my eye,” she said. 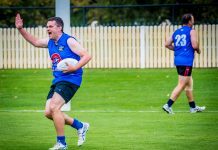 Brendan Farrell not only has an amazing knack of organising these hay runs, but also has a steely determination to keep a clear message front and centre. 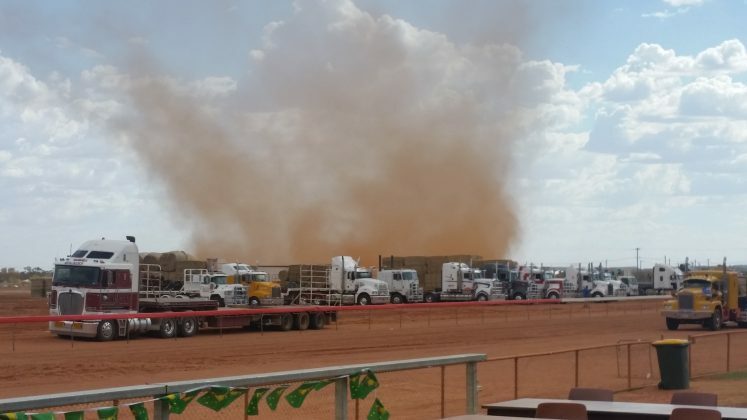 “You have to keep telling people that the drought hasn’t gone away and our way of doing that is by putting the largest convoy of trucks in the world together,” Brendan said. And after a successful day of dropping hay to farmers, it rained. 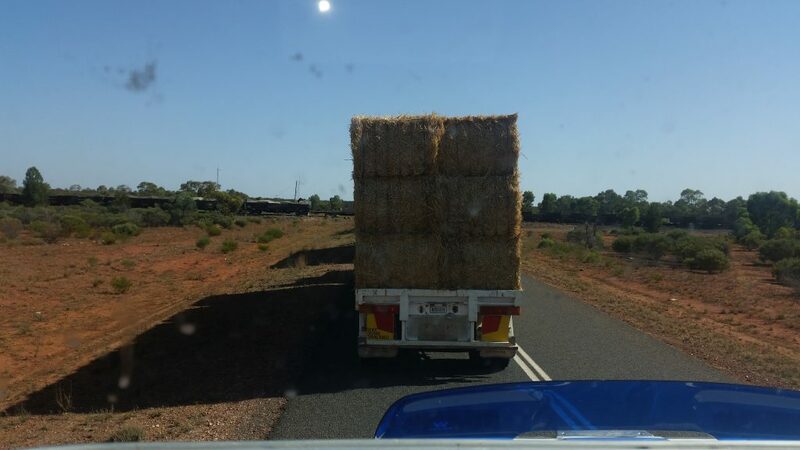 As posted on their Facebook Page, ‘It’s like a thank you from the hay gods for mates helping mates’. Once all the hay was delivered, it rained. 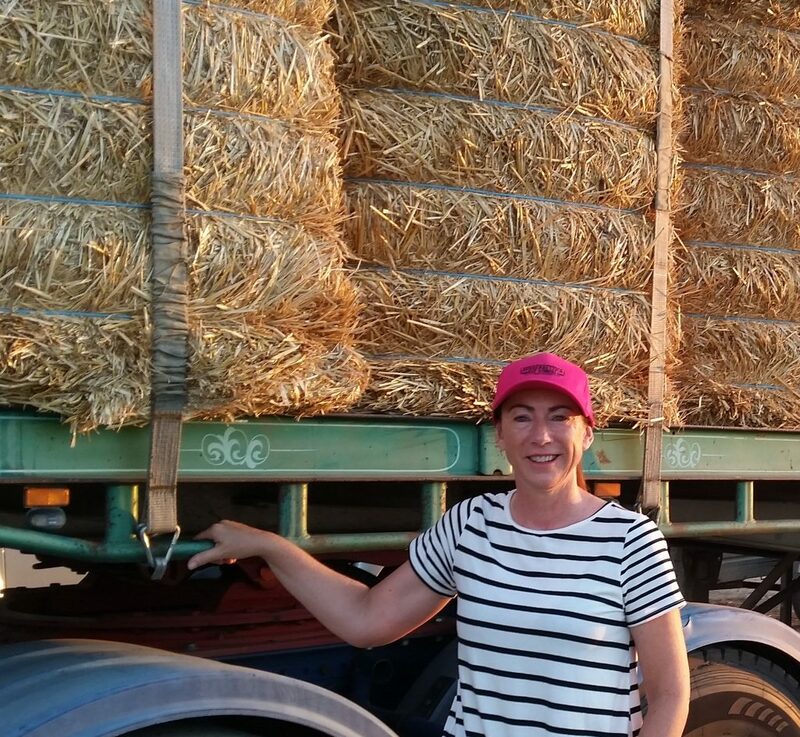 After an Australia Day concert, BBQ and fireworks with the locals, Courtney and I started the long drive home with some newfound hay runner friends who were also doing their first run, from Eden, Tumut, Pambula, Wollongong and Bombala, in a mini-convoy. As luck would have it, we stumbled across the most outback pub you could possibly imagine for our stop-over – the Mulga Creek Pub at Byrock where we had a hearty meal, shared yarns with the locals and publican and enjoyed a night of air conditioned comfort in a motel room. Although we eventually returned home, hot and bothered, tired and dusty, we all quickly vowed to do it again next year. Meeting new friends was a highlight of the hay run.